It is not every day a modest stage and orchestra performer gets to do playback singing. 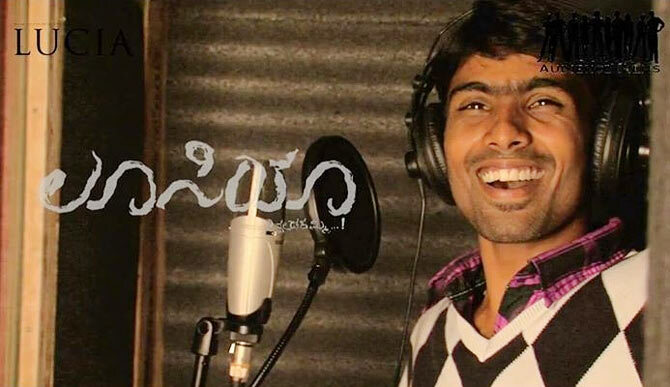 24-year old Naveen Sajju from Mysore made his debut with Lucia by singing three songs under the music of debutant music composer Poornachandra Tejaswi. 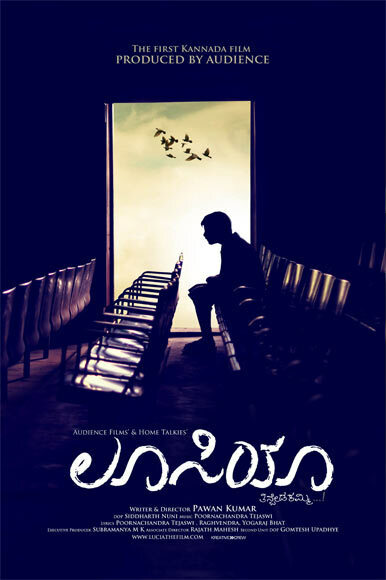 Naveen’s songs from Lucia have gone viral across the web and even topped iTunes when the music of Lucia was released. This unassuming and soft spoken debutant, still unaffected by his success, spoke to rediff about his career and passion for singing. People in Mysore seem to be very happy with your success. We do not get to see a debutant singer’s posters adoring the compound walls of cinema halls, during a film’s release, and it has happened in your case! Yes, I am very glad that people have liked my songs in Lucia. I have been getting calls from all quarters, congratulating and appreciating me and wishing me a great future. You are a stage-orchestra singer in Mysore. How did you start your career in music? Actually, I did not start my career with music. I am from a small village called Bellekere near Mandya. I moved to Mysore for my education and while in class ten, I failed. I started working as a cable operator after that and alongside, I also started acting on mythological plays with a small team in Mysore. After that I enrolled myself into the Niranthara Foundation, a theatre group and started acting and worked on their productions. Slowly I began singing in those plays and I was drawn towards stage-orchestra singing, but none of the music troupes were interested in including me in their team. A desire to learn music cropped up and I wanted to study at the Gangubhai Hangal University in Mysore, but since I had not completed my class ten, I had to wait. How long have you been singing in stage-orchestra then? Despite trying to sing on stage with several orchestra music troupes in Mysore for several years, I never got an opportunity. Only in the last one and a half years, I have been singing for various orchestra and stage shows, though I used to play keyboard before. Last year, I formed my own music troupe and thankfully I was booked the whole of last year. How did you get a chance to sing in Lucia? 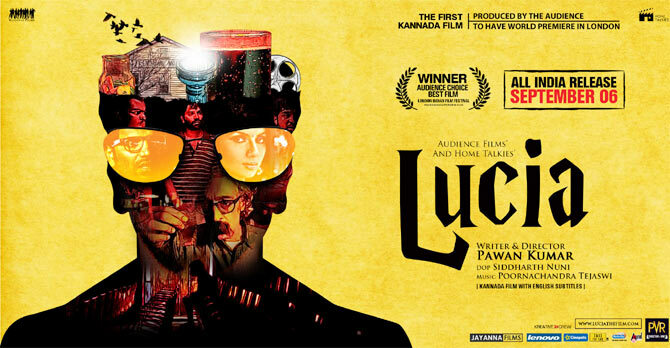 Poornachandra Tejaswi, the music composer of Lucia is also from Mysore. He was also a part of the Niranthara Foundation and he has seen me perform in orchestra on stage several times. One day he, accompanied by director Pawan Kumar, witnessed my performance when I was singing on stage and they liked my singing. 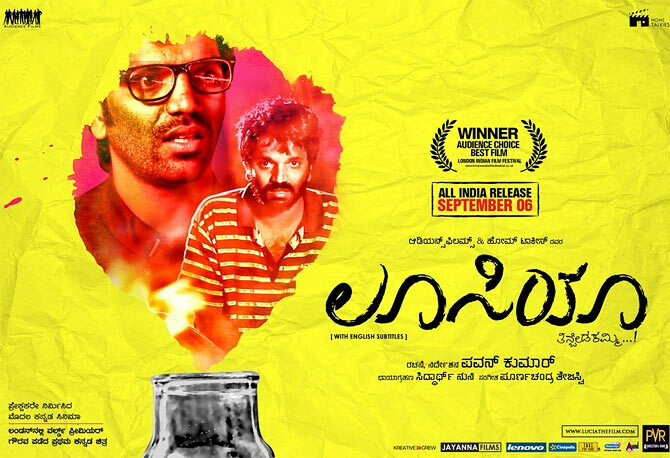 Initially, I was to sing only the track of Helu Shiva, penned by Mr. Yograj Bhat. Then they asked me to render all three songs, again as a track only. Eventually they decided to retain my voice in the final album. Helu Shiva and Jamma Jamma are popularly known as mass songs, while Yako Ballila is a soothing melody. You seem to have rendered both the genres effortlessly. At this point I am very confident of singing any type of song and I say that with confidence and modesty. I started by singing on stage by picking songs rendered by other singers and before that I have heard them all so many times that I am very confident of rendering rock, rap or melody. I have understood the nuances of singing or what is known as the technique of singing. My past experiences with the stage-orchestra have really helped me polish my skills over time. As they say, Practice makes a man perfect. What genre of music do you enjoy singing? I am crazy about folk music. In stage shows, usually singers do not sing folk songs, thinking that live audience will only enjoy film music, but apart from film music, I have sung a lot of folk on stage and have come to realise that people enjoy folk a lot. Have you been singing for films after Lucia? Yes, I did get a few offers and did record for a few of them. 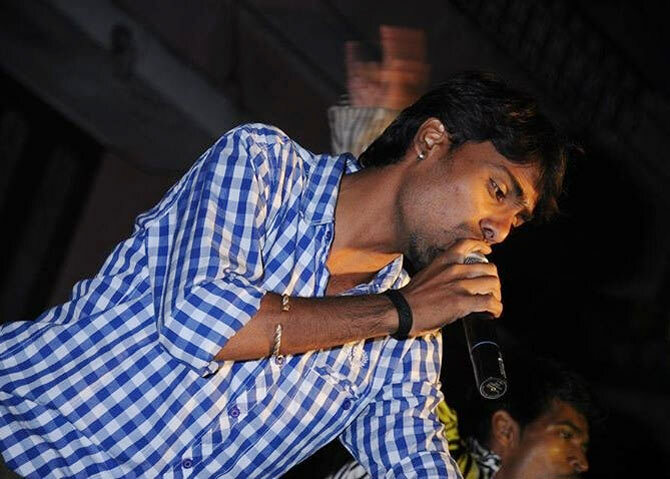 I want to do a lot of playback singing in Kannada and other languages too. I really enjoy singing. There are not many play back singers in Kannada. Most of them are from Mumbai or Chennai. Yes, I also wonder about that. When I sing film songs on stage that have been sung by Sonu Nigam or Shaan, people really enjoy it. When they enjoy a song sung by a Kannada singer on stage, why they won’t they enjoy when it is done on playback, by a Kannada singer, I wonder. I think there are a lot of Kannada singers who are good. For some reason beyond my understanding, there are fewer opportunities in Kannada play back singing. Do you want to work with any particular music director? I take life as it comes and will enjoy every moment of it as it comes. I do not nurture any huge ambitions. God willing, if people love my singing and I get to sing all my life, I will be happy. That is enough for me. I love everybody’s music but really enjoy listening to C Ashwath in particular. Apart from singing in orchestra on stage, I am in the process of starting my own folk band and would love to perform a lot. I love folk music.